Ukrainian Peacekeepers' Day is a new holiday, that was established by the Verkhovna Rada of Ukraine (the supreme council) in 2003. It's annually observed on July 15. 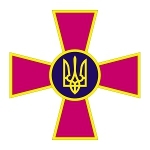 The choice of the date of celebration of Ukrainian Peacekeepers' Day is connected with the 240th Separate Special Battalion, a military unit of the Armed Forces of Ukraine. The battalion performed military mission in support of peace on the territory of former Republic of Yugoslavia in the early and mid of the 1990s. Two aircraft carrying the Advance Party of the 240th Battalion on board left the airport of Dnepropetrovsk heading to Bosnia. After landing in Sarajevo Ukrainian peacekeepers almost immediately took part in the hostiles. Ukrainian Peacekeepers' Day is observed at the state level. It honors courage and valor, exemplary duty performance, loyalty oath and preservation of the memory of the heroes peacekeepers, who sacrificed their lives during performance of duty ensuring peace on the territory of foreign state.